On December 30, 2008 George finally turned himself in to the Federal Prison Estill located in South Carolina. Even though he had originally told the judge in Ky that he would report to the Florida Federal Prison above Tampa. Also I have to find out why he did not turn himself in on November 30, 2008 like the judge in Ky demanded. His release date from Federal Prison is set for September 25, 2010. The Federal Correctional Institution (FCI), in Estill, South Carolina, is a medium security facility housing male inmates. 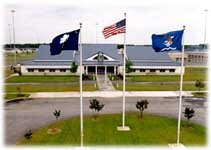 It also has an adjacent satellite camp that houses minimum security male inmates. FCI Estill is located approximately 50 miles north of Savannah, Georgia, 96 miles west of Charleston, South Carolina, and 95 miles south of the state capitol, Columbia, South Carolina. If there is anyone who would like to write to George and let him know your thoughts you can send him a letter at the address below. Be sure and put in all the info that I am providing. If there are still any women out there are sending him money you are not allowed to send any funds to this address. As always when I hear more I will let you know.